To keep celebrating the relaunch of our Linda Wrap Dress, we want to give a shout out to the amazing seamstresses that are part of our Pattern Development Group. Running a pattern business can be tough sometimes and even if there are 2 of us, we often come up with questions we don’t have straight answers to, such as “Do people want to have seam lines printed?”, “Are the instructions clear enough?”. This is why having a sounding board is so great! We currently have 24 people taking part in our group and their input is not limited to sewing the gorgeous version you will see below. They are full of insights and strong opinions, which we love! But let’s look at their Linda Wrap Dresses for now. One thing we really love about this pattern is that it looks great on so many figures. It’s a dress that will do an amazing job at showcasing a fancy wool or silk crepe! To get your copy of the pattern, visit our Etsy Store and use the code to get 15% off until the end of November!! Since the testers have sewn their dresses we have updated our grading, I will therefore refer to the new size. For instance, the first dress below was old sizing 38 but now it would be considered a 40, so let’s just say size 40! First up is the gorgeous work of Anneloes! Unfortunately she doesn’t have an online sewing presence, which is too bad because her sewing is amazing! She used size 40 and a cupro crepe with a nice drape. Drape is super important for this pattern, we cannot emphasize this enough… She made no adjustments except switching the buckle for a D-ring and adding 6″ of length at the hem because she’s 6’2. Hello #sewingtall friends! Another lovely dark version is the one sewn by Kirstin from Small Bobbins. You can find Kirstin on Instagram and on her blog. She’s already sharing pictures of our next pattern that she’s currently testing, so you can get the scoop! She used size 40 and a black shirting fabric. She didn’t make any adjustment except for the length since she wanted her dress short! Sue of Beautifull Handmade made this very nice version in size 36 and she also changed the buckle for a D-ring. 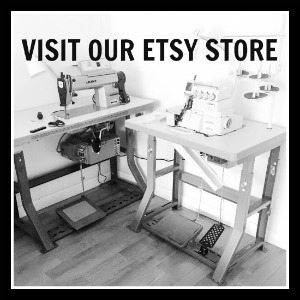 You can find Sue’s sewing on Instagram and she also recently launched sewing patterns! She wore her Linda Wrap Dress for a job interview and she got the job, congratulations Sue!! She wore her Christy Slip Dress underneath and the result is perfection! Hilde can be found on Instagram as Hi.Hilde. She used size 46 in a gorgeous blue peachskin and made no changes to the pattern except for the closure. She’s also wearing our Kate Bias Top underneath! As you are starting to see our testers seems to have been struck by the same inspiration lightning. Tara of Five of Hearts Studio is very close to Hilde’s. She sewed size 40 in a mystery fabric from her stash with no modifications to the pattern. She also changed the closure to a D-Ring. Moving on to our testers who elected burgundy as their color of choice, we have first Jess of Jess Sews Clothes. You can find her on Instagram and on her blog. She used size 46 for the bodice and 44 for the skirt. She removed some fullness at Center Front and used a poly-crepe that unfortunately gave her trouble but we think the final dress looks fab! Anna of Ompele Oma Onnessi sewed this rich looking dress in size 40, she didn’t make any changes to the pattern and she looks great! You can find her on Instagram and on her blog (but that one is in Finnish so we just look at the pictures!). Georgia of Ginger Stitch used size 40 for the bodice and size 42 for the skirt portion. She used a wool flannel and didn’t make any other changes to the pattern. You can find her on Instagram and she wrote a blog post about her Linda Wrap Dress! And last but not least is Shauni from Magnificent Thread. Shauni made size 44, and her experience pushed us to update the grading. We were already hesitating but her version ended up so big that she couldn’t wear it as a dress for the wedding she was attending. However, we think she had a stroke of genius when she decided to wear it open like a coat over her jumpsuit. Seriously, how chic does she look?? You can find Shauni on Instagram and read the story of Linda becoming a jacket on her blog! We cannot say how amazed and grateful we are for the amazing ladies part of our development group, they did an amazing job!! We hope that you’ll agree with us and don’t forget that you have until the end of November to get 15% off the Linda Wrap Dress pattern with code UPDATEDLINDA15 in our Etsy Store!